Fall rescue training is not a regularly scheduled course; this training requires the application of client-owned equipment to specific client climbing services. 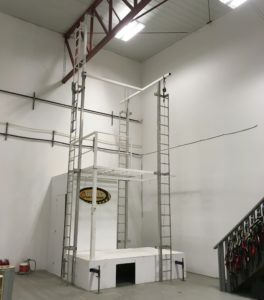 The Custom Trinity training simulator has been specifically built to teach the Enform 2 day class and Rig Worker Fall Protection Program. 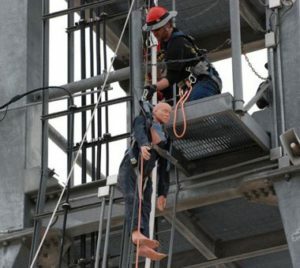 The standard CSA and OH&S fall protection and the OSSA Fall Protection do not require the student to climb to receive certification, but the simulator is used during every class to give students a field-level view of what the equipment use looks and feels like.